Nick-a-Million is full service festival and event food service team. Owned and operated by Nicolas Rushing, they offer a 22 x 15 vending trailer that serves a variety of festival fare. Nick-a-Million cooks up everything from fried fish and funnel cakes to slow smoked BBQ. In addition to event vending, Nick-a-Million also produces their own signature BBQ sauce and rub. The sauce is described as "Georgia style". It is tomato based, but thinner than most tomato sauces. It also has a strong vinegar tang and is finished with a bit of spice. 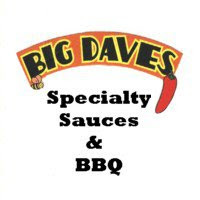 The sauce reminds me a great deal of sauces from Southern VA and Eastern TN. These types of a sauces are tomato based, but are still heavily influenced by the vinegar sauces from their North Carolina neighbors. Nick-a-Million's sauce is a solid transition between Carolina vinegar sauces and the rich, sweet tomato sauces found in much of the Southeast and Midwest. 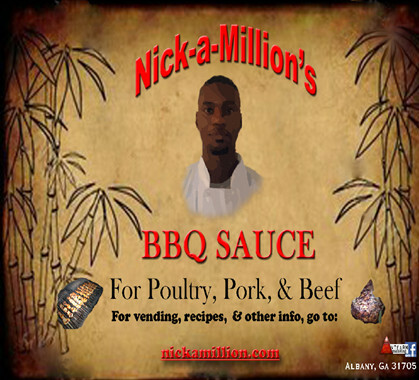 Nick-a-Million's BBQ rub is a sweet, brown sugar based product that is suggested for pork and chicken. I used the rub on both grilled chicken breasts and smoked pork shoulder. It was particularly good on the pork. The sugary rub created a crisp, tasty bark on the pork as it smoked. This spice rub is not alltogether different from my own basic rub recipe. The brown sugar is complimented by paprika and a variety of balanced spices. To learn more about Nick-a-Million's products and services, click the title of this review. Be sure to see how Nick-a-Million products rate compared to the competition on the "Product Reviews" page. 3 Response to "Nick-a-Million BBQ Sauce and Rub"
Stay focus bruh, just do u! I love what you doing ! The sauce drives me crazy .... I will eat rubber with that sauce don't change it ... I'm makin sure people know about you in Florida ...your wife braded my hair about a year ago and I ran out of sauce !